Monday through Thursday, 11 a.m.-10 p.m.; Friday and Saturday, 11 a.m.-11 p.m.; Sunday, 12-7 p.m. 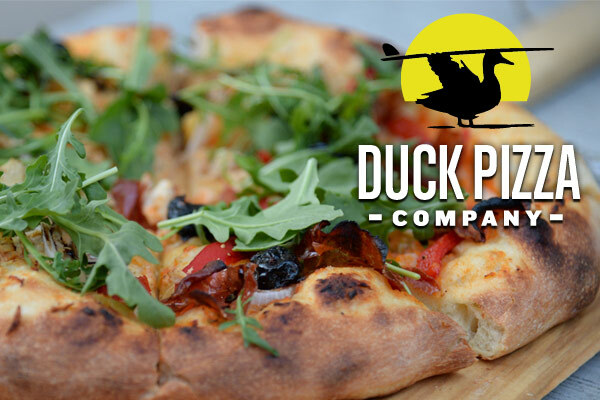 The best-kept secret in Duck is Duck Pizza Company. We serve the freshest ingredients on our pizzas that we make by hand daily. This locally-owned pizzeria on the Outer Banks strives to make the best pizzas, strombolis, calzones and more! If the whole family is eating out, make sure to try our X-Large 18" specialty pizzas or create your own with your choice of over 20 toppings! We also have a few different sauce options, so you can make a pizza that is truly unique. We are located in the Scarborough Lane Shoppes in Duck, or give us a call for free delivery to Southern Shores, Duck and southern Pine Island.